Alexander Girard was a prolific textile designer, producing over three hundred textile designs during his near thirty-year tenure at Herman Miller, an important American furniture company and promoter of modern design. He was also an ardent collector, amassing a collection of cross-cultural folk art that ranks among the largest in the world. At Herman Miller, Girard championed the functional and aesthetic principles of modern design, while still embracing the profusion of color and pattern in his own folk art collection. 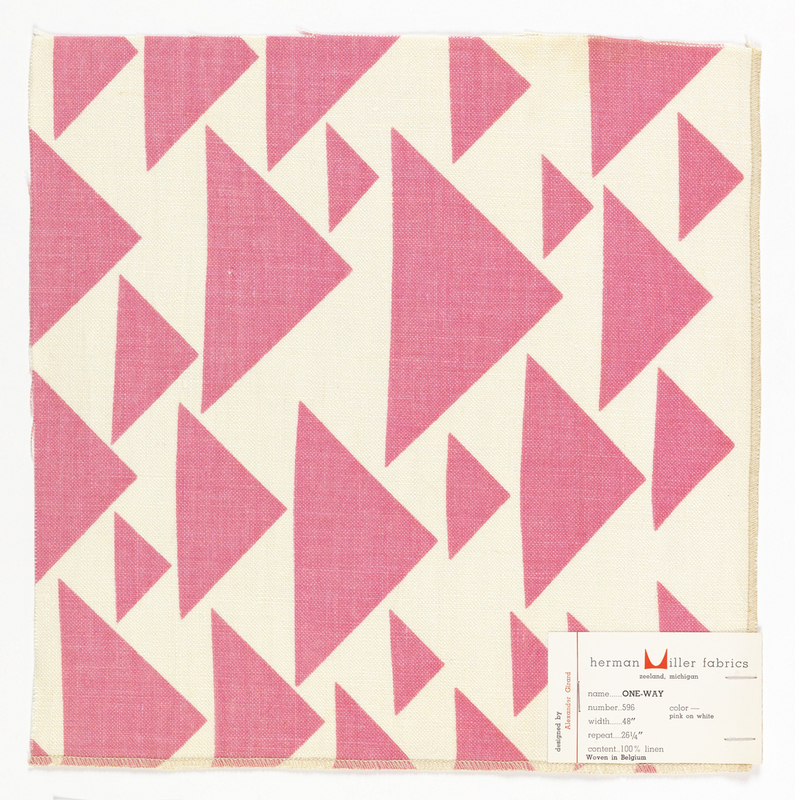 The One-Way pattern on this sample features solid pink triangles printed in various sizes on a white linen ground. The triangles all face one direction, lending them a sense of uniform movement despite their irregular distribution. This pattern was printed in numerous color combinations and on multiple materials engineered to meet the technical requirements of an upholstery fabric, including color fastness and abrasion resistance.